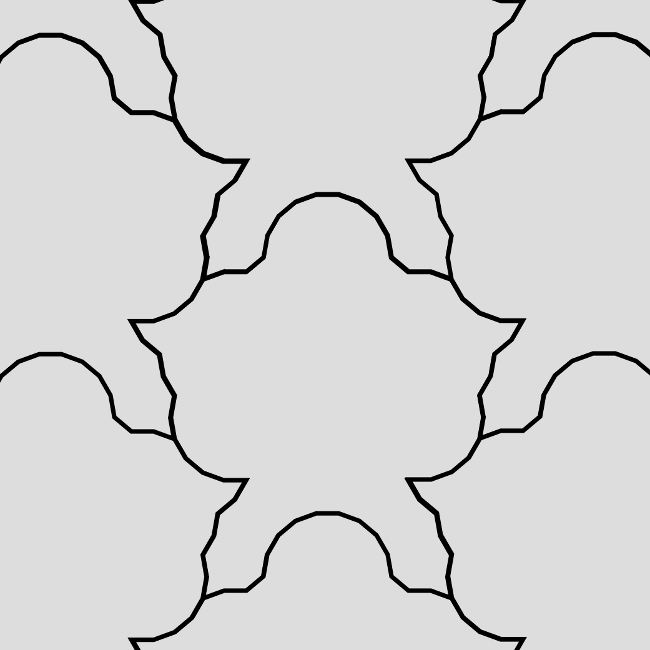 The translational unit for this tiling looks like a fierce broad-shouldered warrior to me and needs 9-rhomb and 18-rhomb prototiles to complete. Two 18-rhombs and one 9-rhomb combine in a common structure that looks like a feather to me. The translational unit contains three identical patches and three 18-gons. 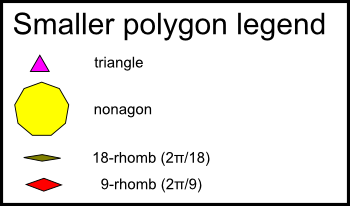 The patches are irregular convex polygons with two 9-rhomb and two 18-rhomb shaped chunks taken out of them. 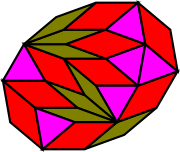 The illustration shows this "jewel" with the rhombs added back. 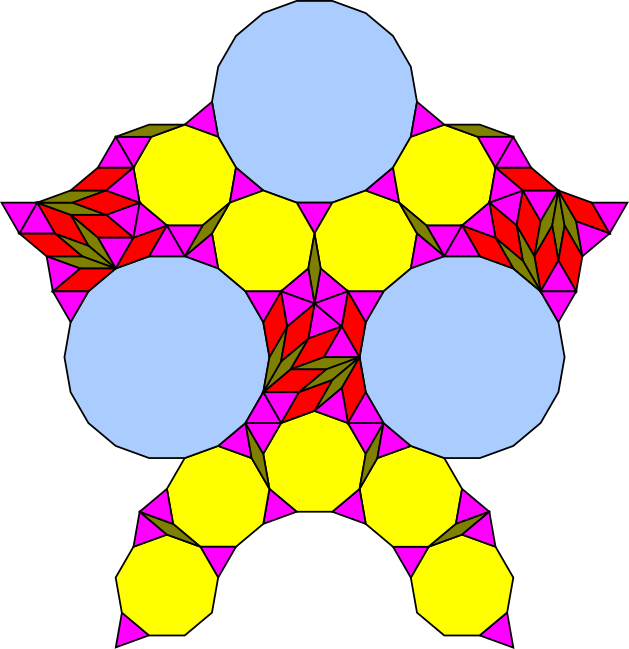 In the full tiling, each rose with alternating triangle and nonagon petals is surrounded by six non-rose 18-gons.